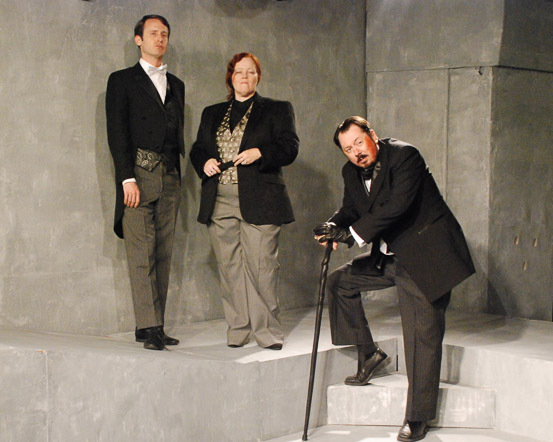 Jesse Merlin as Buckingham, Melody Doyle as Hastings and Jon Mullich as Gloucester. "The secret mischiefs that I set abroach I lay unto the grievous charge of others. Clarence, whom I, indeed, have laid in darkness, I do beweep to many simple gulls namely, to Hastings, Derby, Buckingham; and say it is the queen and her allies that stir the king against the duke my brother."